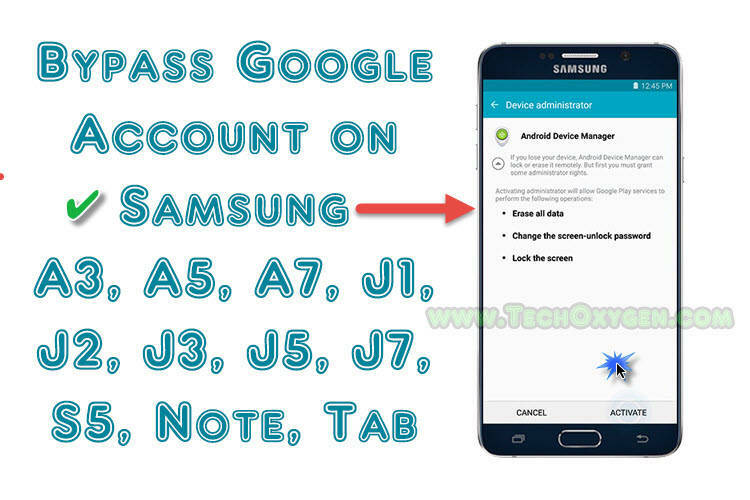 How to Bypass Google Account on Samsung Phone any device. 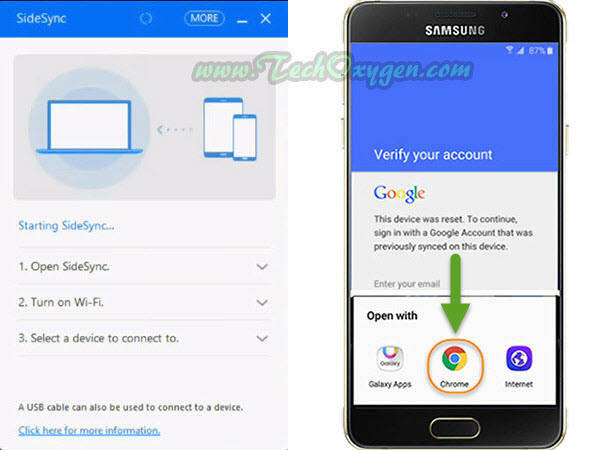 Like Samsung Galaxy J1, J2, J5, J7 or Samsung A3, A5, A7 you can use this method to Bypass gmail account. 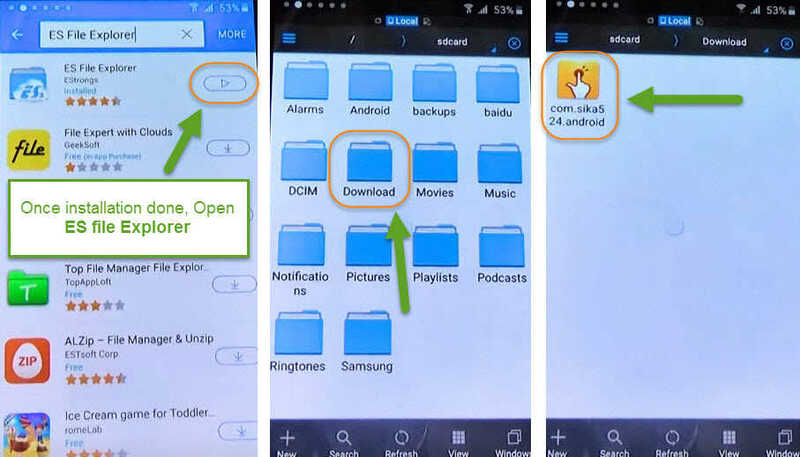 Very nice guide to help me out from my Samsung Galaxy A3 phone. It got stuck on gmail verification I was so confused thanks to this post. I need help, I purchased a phone from someone and when i reset the phone now its asking me for the google account. gonna try this guide lets see. when i try to install after typing the address in it takes me back to the google verification page at the start pleas help!! 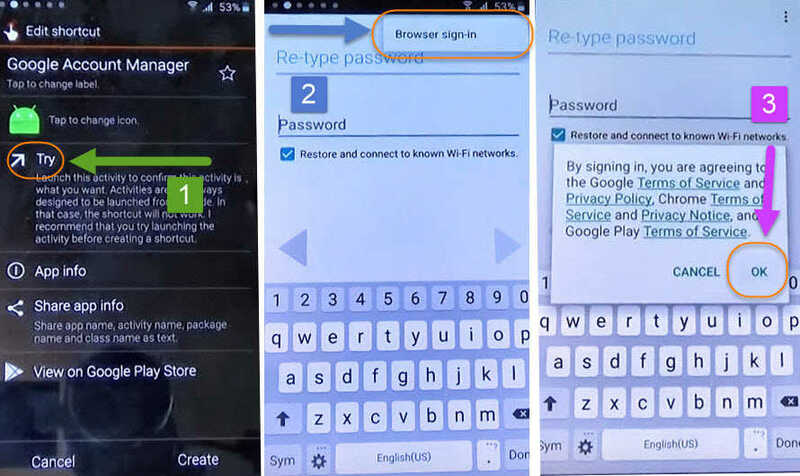 In which Samsung Device you’re applying this method? Please mention! 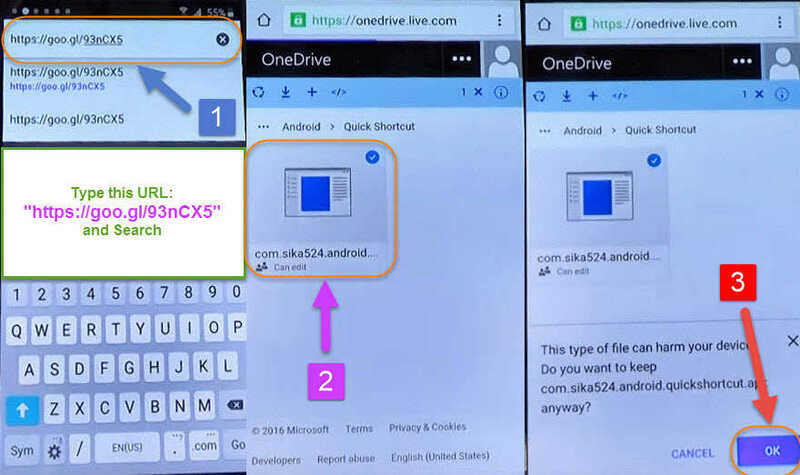 Hey admin, I tried this method on my Samsung A3 6 but when I connect it to my pc with the USB cable and SideSync installed and open on my pc, nothing pops up on the phone. I’ve seen videos of it happening but it’s not working for me. 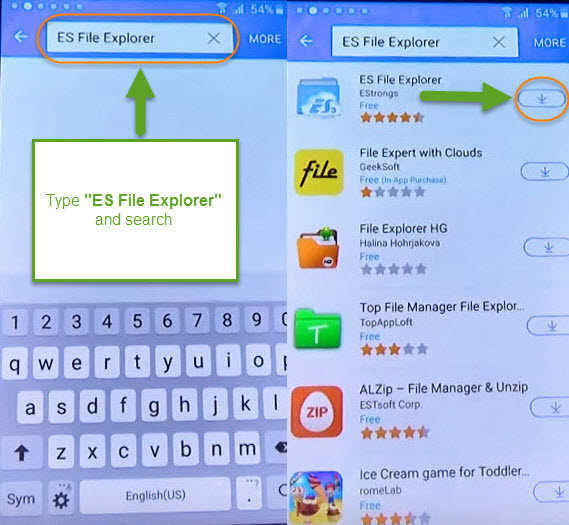 I also tried a couple other methods like going through Realterm or trying to the shortcut to the search engine through the Swype keyboard and from there access Settings on my phone, but none of them worked. Any ideas please? hi… try disconnecting the internet of yr computer when you connect it. mine was delayed by the web hunt for updates on conection but worked when i disconnected. 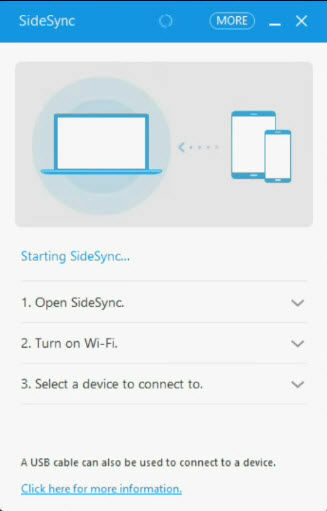 I tried this method on my Samsung j7 mobile but when I connect it to my pc with the USB cable and SideSync installed and open on my pc, nothing pops up on the phone. 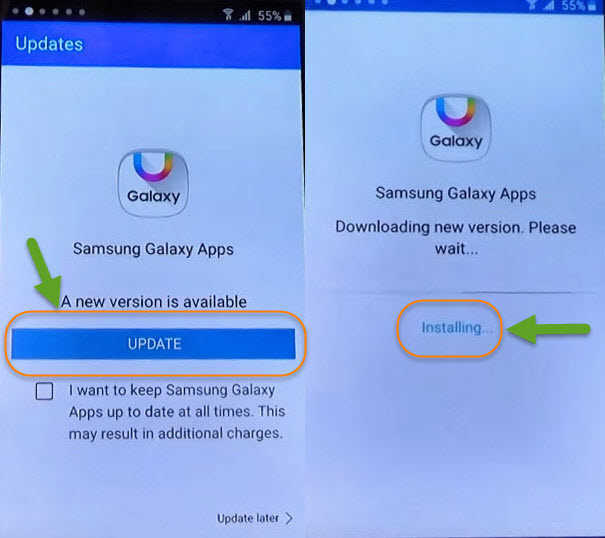 Update your Samsung USB Driver. 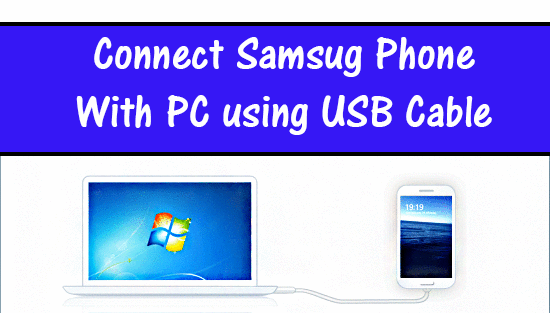 Hey admin, I tried this method on my Samsung A5 6 but when I connect it to my pc with the USB cable and SideSync installed and open on my pc, nothing pops up on the phone. I’ve seen videos of it happening but it’s not working for me. 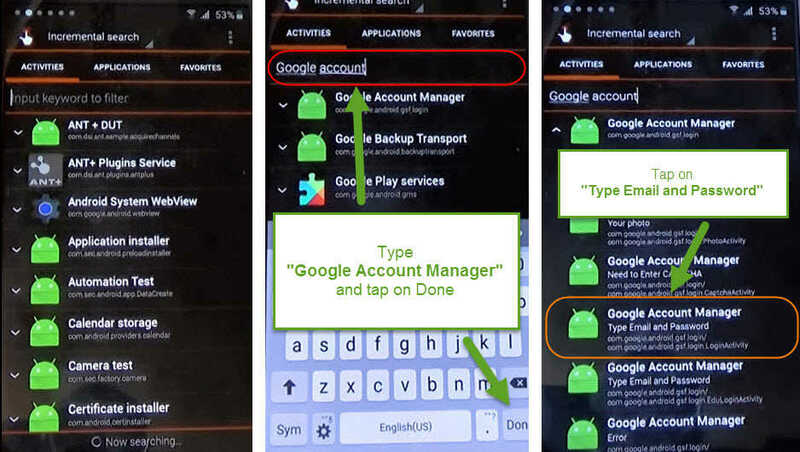 I also tried a couple other methods like going through Realterm or trying to the shortcut to the search engine through the Swype keyboard and from there access Settings on my phone, but none of them worked. Any ideas please? 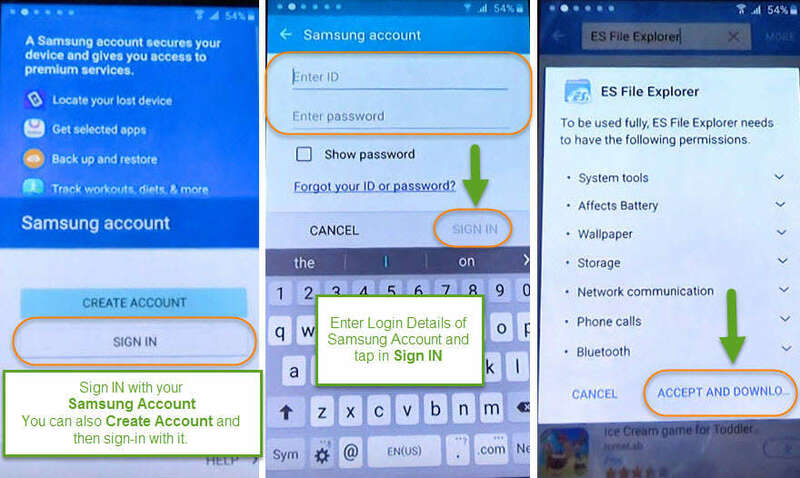 Alright, I think you should give it a one more try with this guide : How to Bypass Google Account, Remove FRP on Samsung S7 Edge, Note 5, Note 7 Android 6.0.1 and 6.1 Marshmallow This is the advance method to Unlock FRP for most of the Samsung Phones. The download doesnt pops out after downloading andni cant make the 6th step can assist me please? 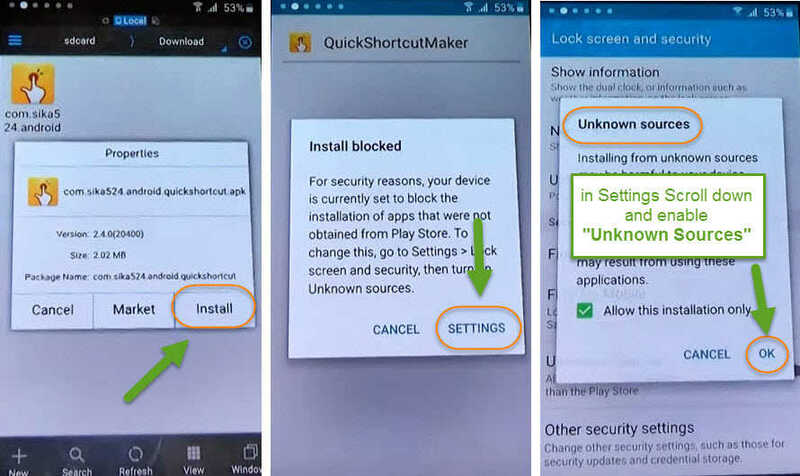 Samsung galaxy j1, i have downloaded the apk google bypass and uses otg and erased everything in my phone but when switched it off and on it came to that yellow arrow and still asking me to enter the google account which was previously synced with this phone. help? 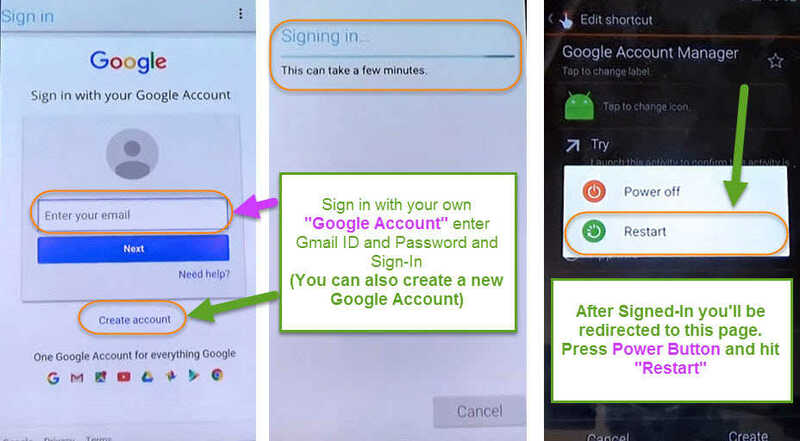 Thank You in advance…..
how to change google acc. From “Settings” of the Phone, You can change the Google Account “Email and Password”. thanks!! it worked on my samsung j1 mini.. it is the only method that actually worked for me after hours of trying different methods. Thanks a lot men! May you help me on my j1 somsung galaxy’s? thanks for the Admins for free sharing ! finally i managed to deactivate Frp lock into my Samsung galaxy A310f, more power to you guys. Pada sidesync diminta untuk memasukan pin. I have brand new Samsung A3 (2017). It also requires Gmail account. It has the Operating system 6 but the cable is not USB micro cable but an other type: USB Type C.
Can you comment on your experiences with the A3 2017 release? Hi Marek, Its alright if it has the USB Type C port you can still use this method with the same operation for Samsung A3 2017 as well. Well, I was using this exact method to bypass the google logging authentication page after forgot my password. 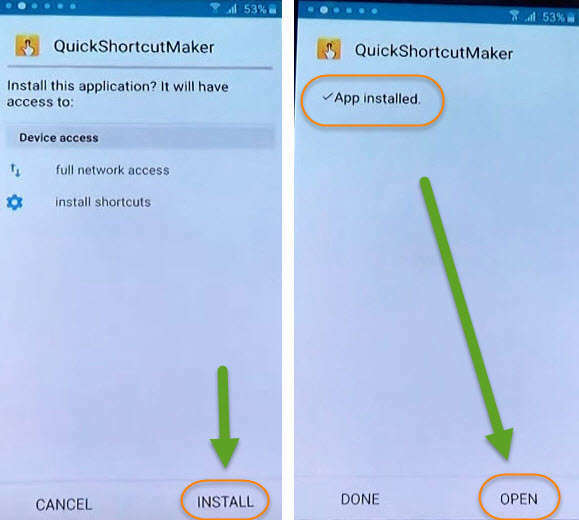 After I downloaded software into my PC I tried these steps but it didnt work coz I dont have the Samsung SideSinc App/Softwre after I reseted my device (samsung galaxy j1) to factory settings. 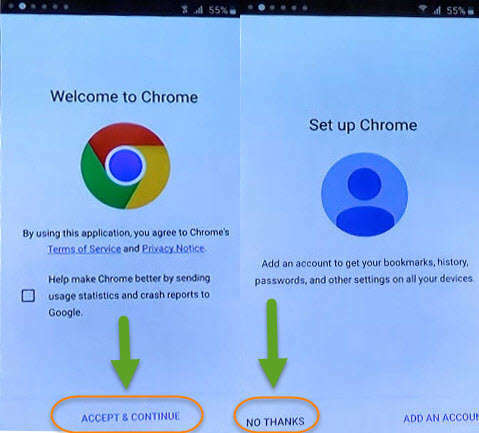 iam sorry but i have a mobile phone A3 samsumg 2017 and this process is not working on that phone i dont get acess to the google menu when you touch it to the mobile phone with pc kindly guide me. thanks alot for your effort and guidance . 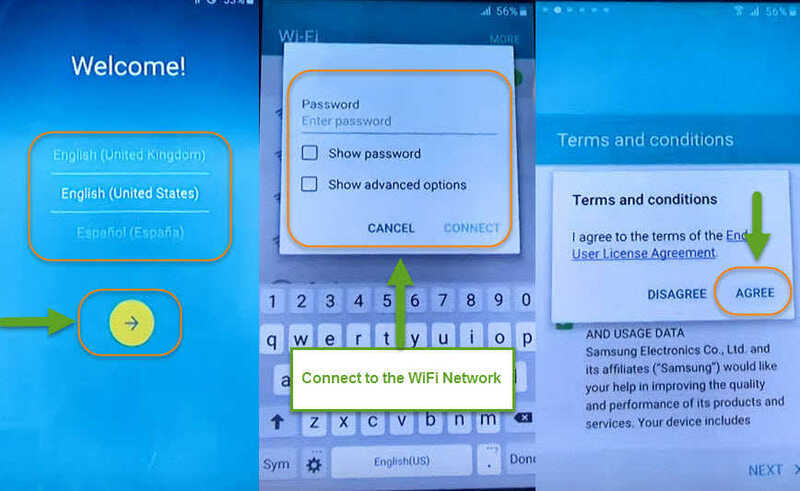 Please help with a Samsung tab s2 T813.Is it possible?Which method should I try?